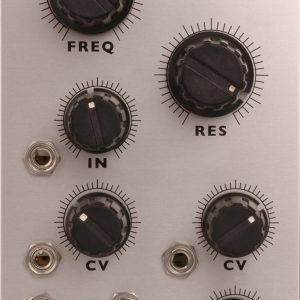 The Quad VCA4p is based on the classic VCA from the Polyfusion modular synth. Unlike many modern VCA’s this one, like most VCA’s from the 1970’s, centers around an OTA chip – which may not be perfect by today’s standards, but it’s those imperfections that give the VCA4p it’s character and warmth. 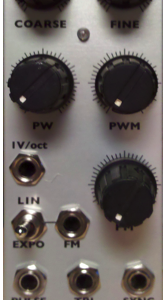 The VCA4p is meant to be used as 4 separate VCAs, as a voltage controlled mixer or a combination of both. By using the jumpers on the back the user is able to configure the module to meet their specific needs. 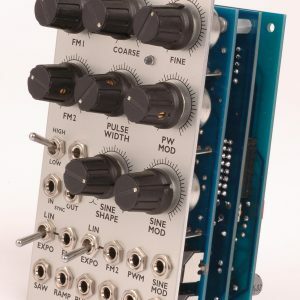 4 Individual VCAs, with either linear and exponential CV response. Input can be audio or CV. Individual Gain and outputs for each channel. 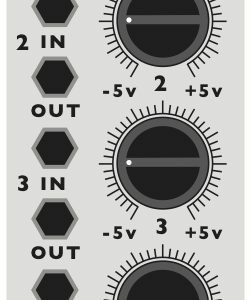 Mix Out – depending on the jumpers on the back of the face plate PCB between 1 and 4 outputs of the VCAs will be sent to the mixer section in addition to the individual outs.